Have you heard? 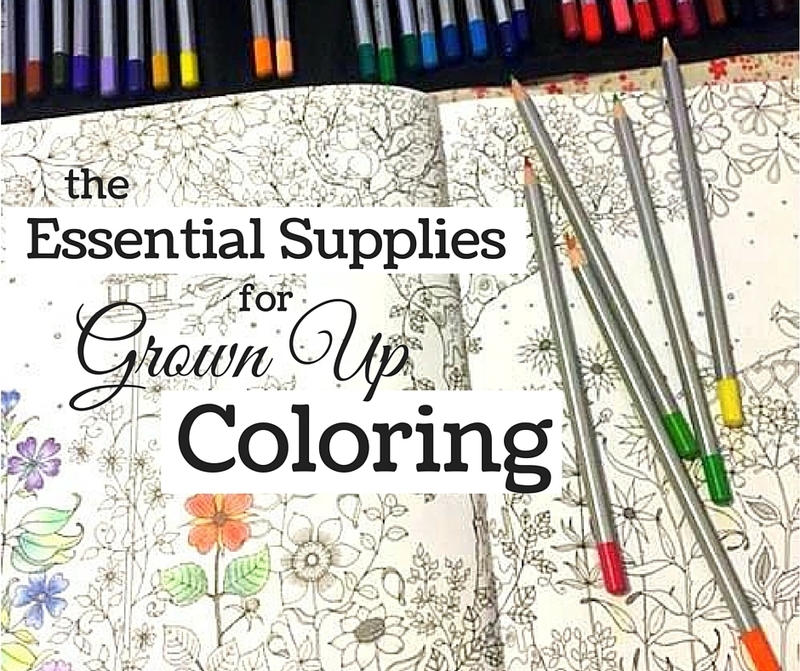 Adult coloring is all the rage! 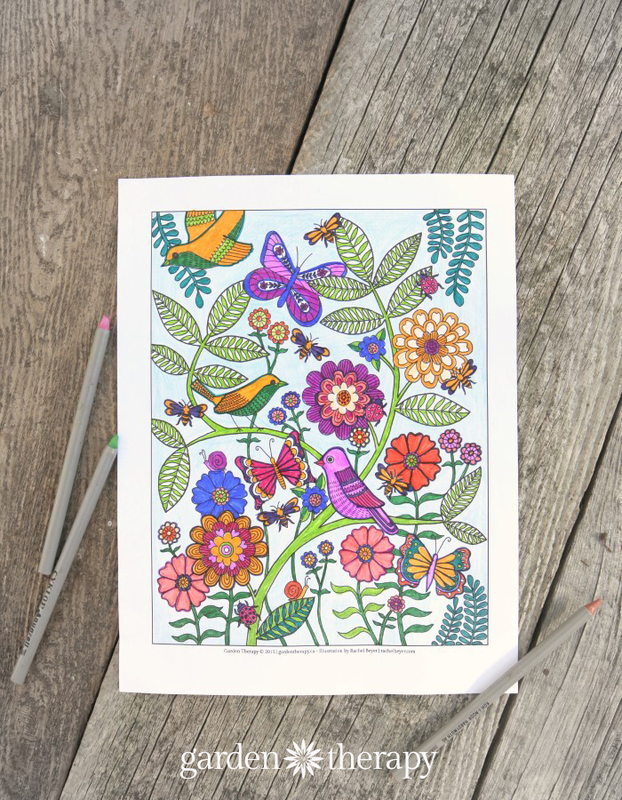 It’s fun, challenging, and leaves you with some fabulous artwork! 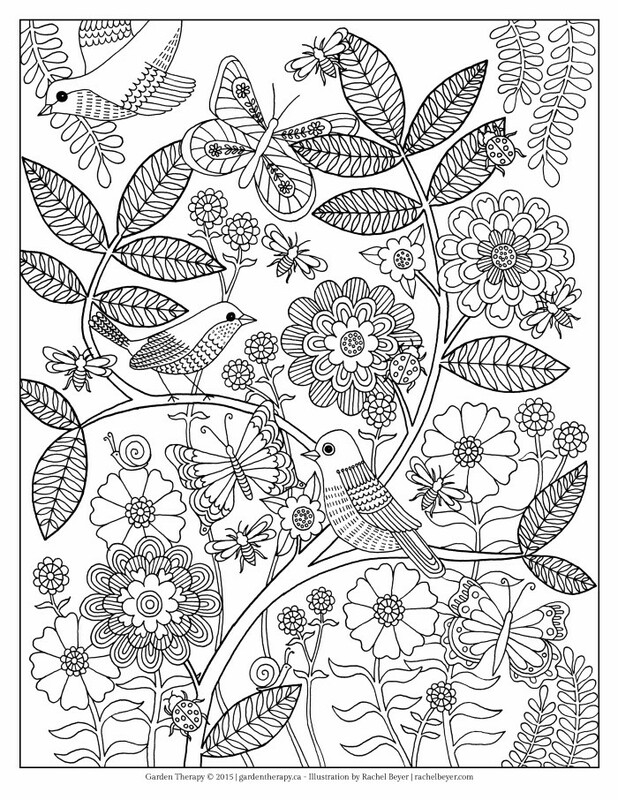 I’ve commissioned a gorgeous adult coloring page from an artist I admire and I’m excited to share it with you for free! 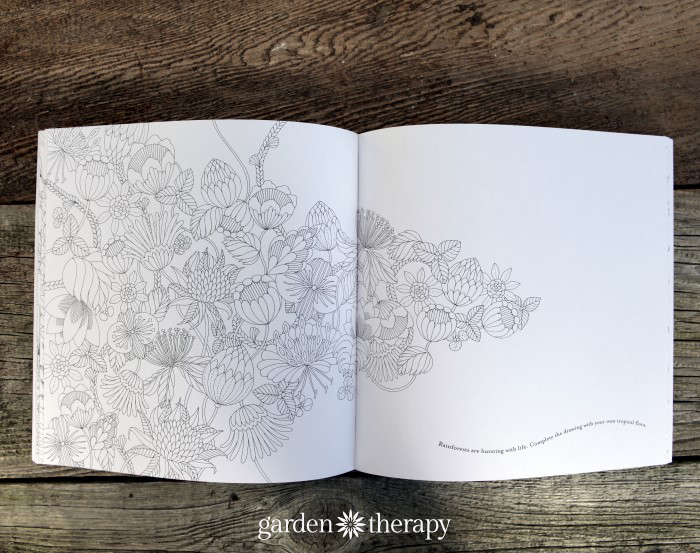 But first, have you seen the Garden Therapy Coloring Book? 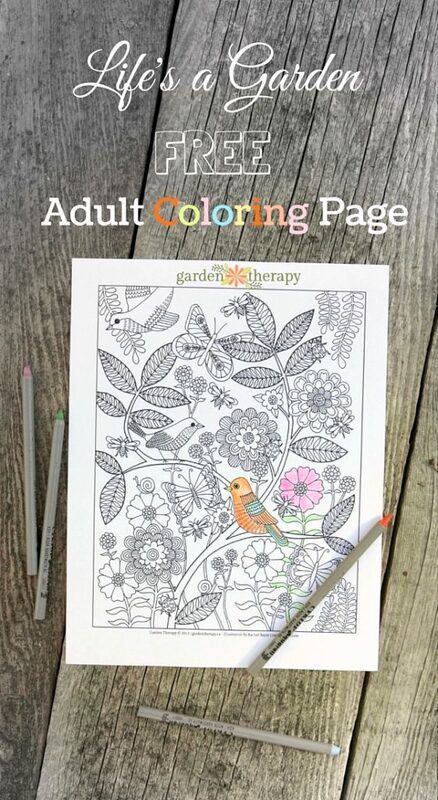 Just like this free page, I commissioned artists to draw beautiful garden scenes that you can print and color at home. 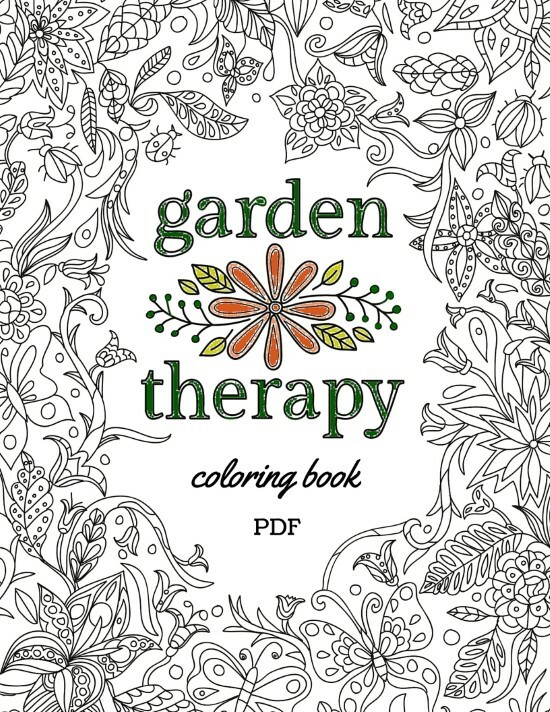 Get the Garden Therapy Coloring Book here. 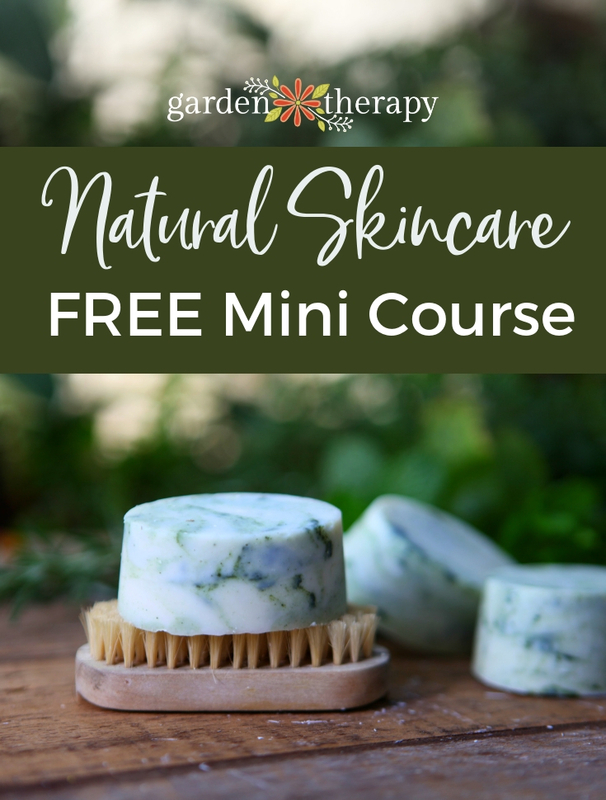 As gardeners, we still want to create beauty when the gardening season is over. 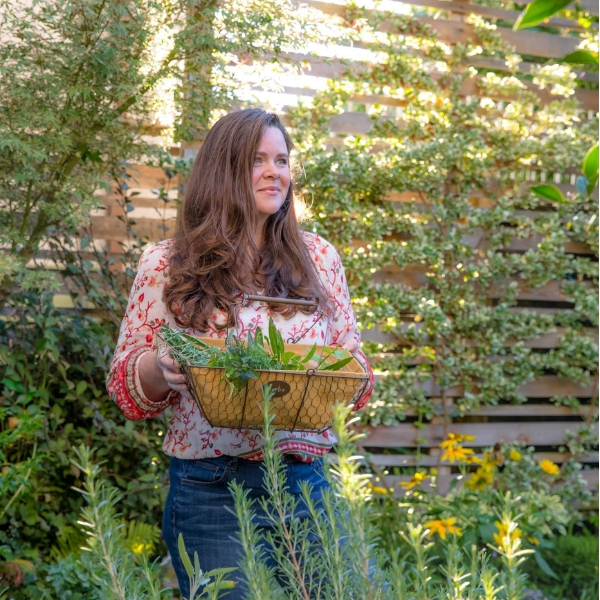 What do we do when the garden goes to bed for the year? We dream of the flowers and fruit of the past and the possibilities of the future. We Invent new designs, imagine the taste of a new variety of edible plants that we hope to try, embrace the slower months, and activate our creativity. What a perfect time to create some art! Rachel Beyer is the talent who created this original drawing just for us. It has all the things you love in the garden that are pretty and colorful: flowers, birds, and bugs. Love Rachel’s work as much as I do? Then head on over to see more eye candy at her shop, Camp Smartypants, and blog, Adventures in Making. 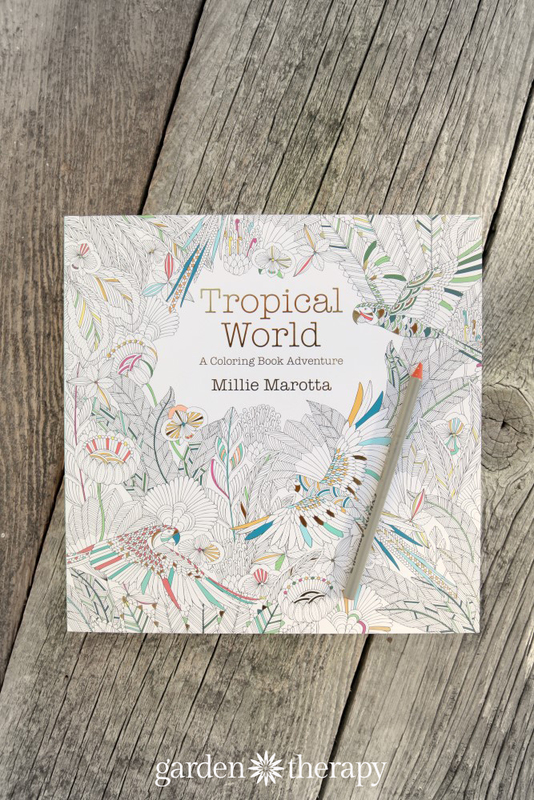 I picked up Tropical World by Millie Marotta from Blogpodium (a blog conference I attended recently) and have been making my way through it. I love her birds and botanicals, but there is also a spot for me to create my own design! 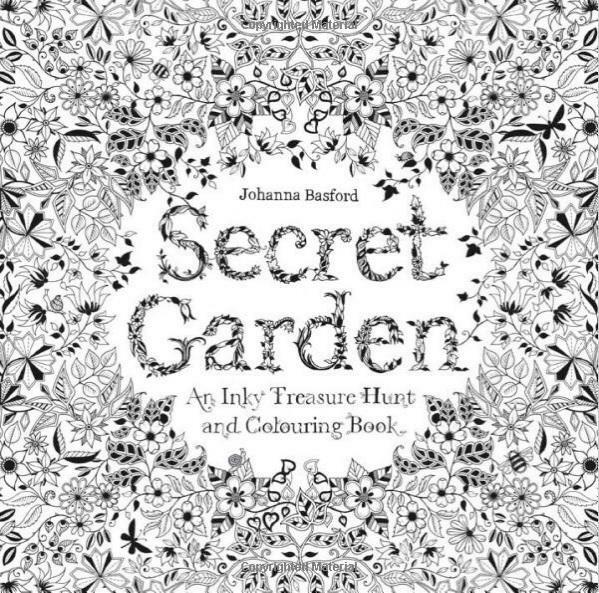 Secret Garden: An Inky Treasure Hunt and Coloring Book is probably the book that started it all. I’m not sure if that is true or not but it certainly is popular, and for good reason. The artistry is beautiful and the coloring is fun! As added entertainment, tiny garden creatures are hidden on the pages, waiting to be found. A key and index are included in the back. This would make a fantastic gift for Christmas (Dear family, hint hint!). 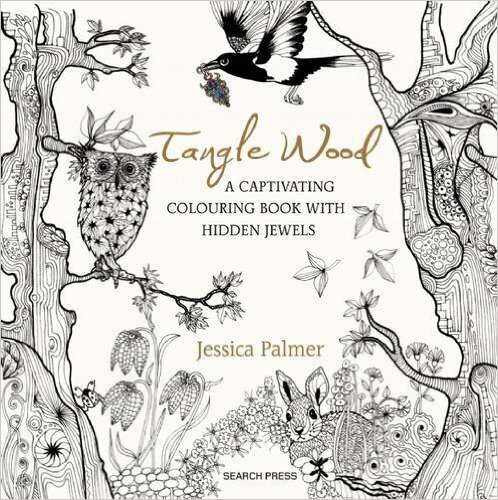 Another hidden gems book is Tangle Wood: A Captivating Colouring Book with Hidden Jewels. I love the theme and whimsy of these woodland adventures.